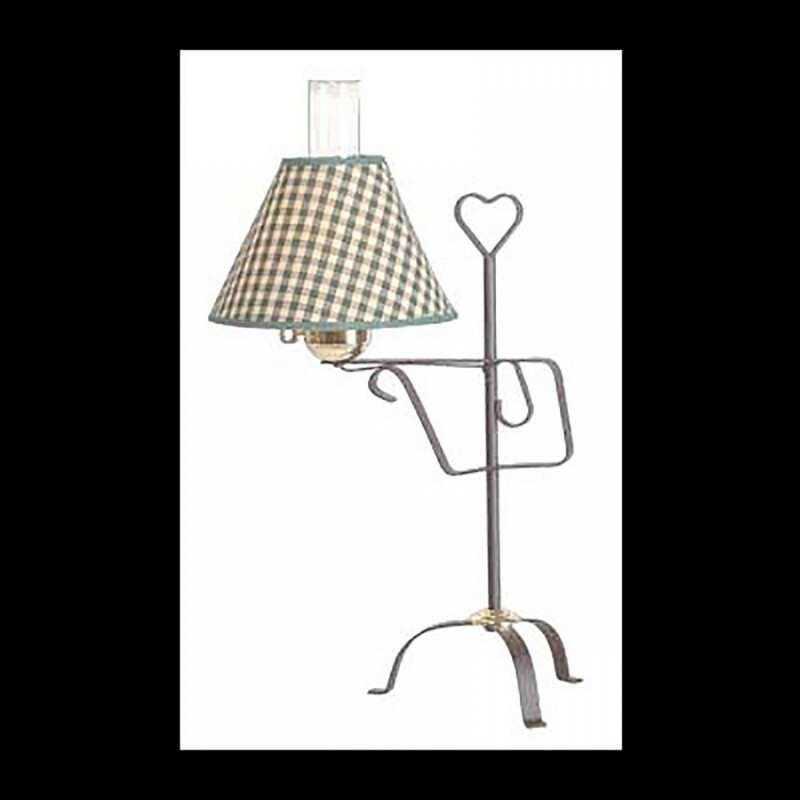 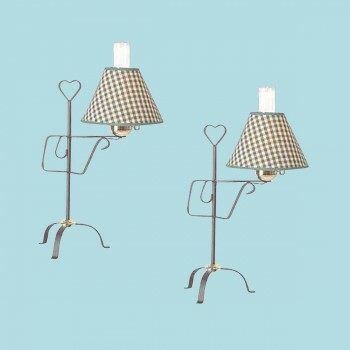 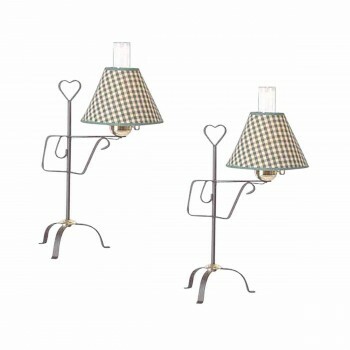 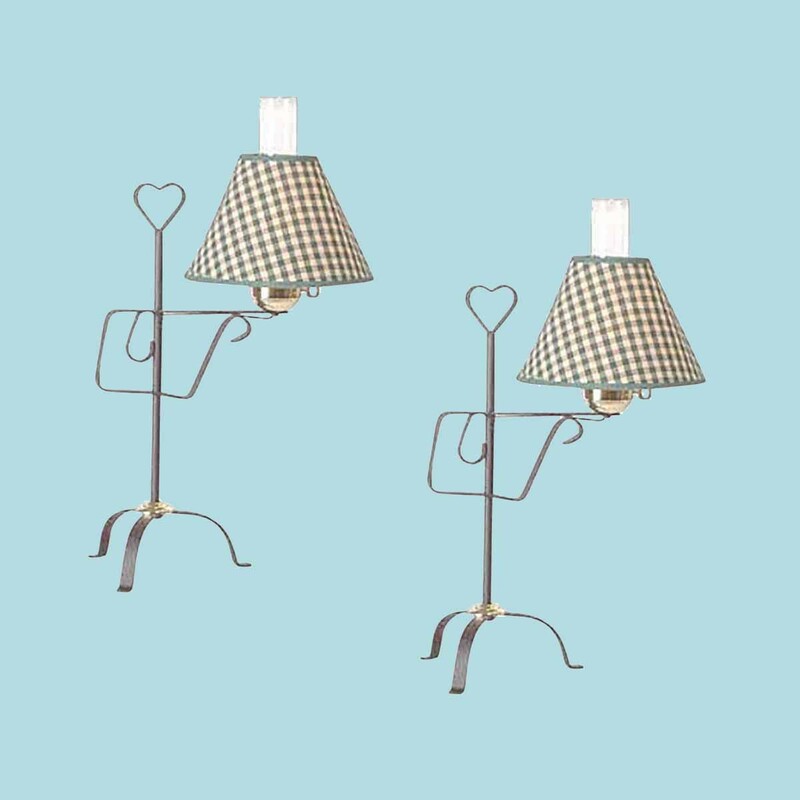 (2) pieces Table Lamps: Our Country Heart Table Lamp is crafted from wrought iron with a heart motif, glass hurricane & a 3-way brass key switch. Measures is 24 1/2 in. 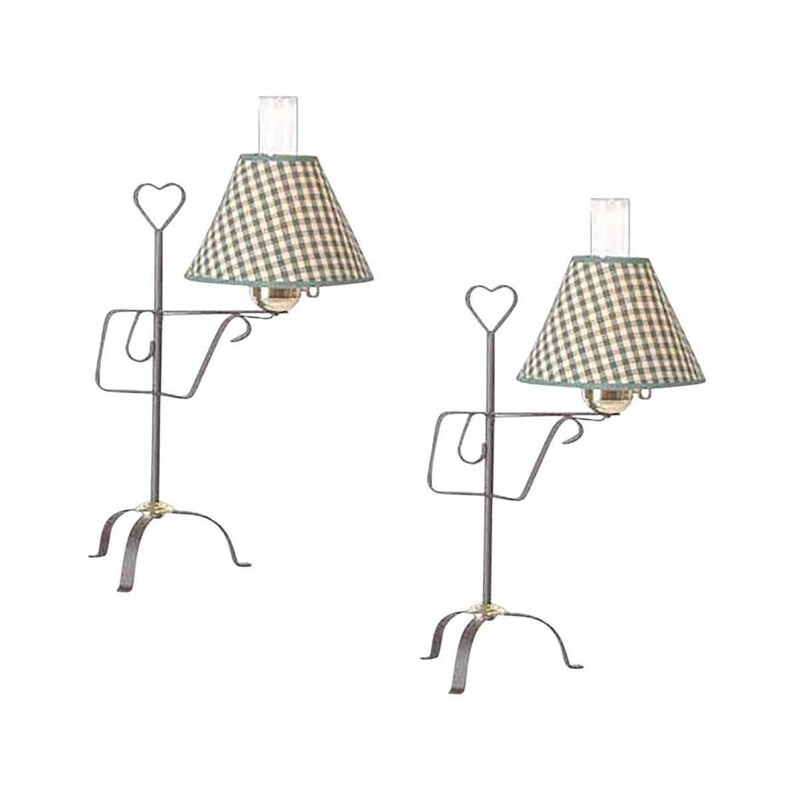 high & comes with a checkered fabric shade.